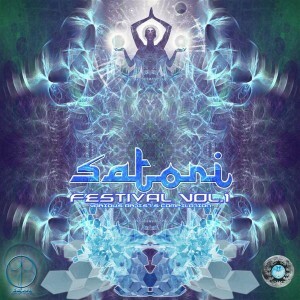 Psymoon Records presents a collaboration with the Satori festival crew: Satori Vol. 1. This compilation is designed to capture the spirit and ideals of this magical gathering tucked away in Romania’s breathtaking mountains. Satori stands for infinite possibilities, space, and consciousness. The sage’s path is wretched and littered with hidden perils. It is a sort of mental catastrophe taking place all at once, a piling up of many matters both intellectual and demonstrative. This compilation explores pathways to wisdom through full power hi-tech trance music. Much like the jagged path to satori, listening to this release your mind will number under the influence of intense frequencies before, ultimately, reaching a new heaven. Enter the world of Satori! MP3 Download | FLAC Download | WAV Download · Download count: 10,714.
very great and dark complication !!! good compilation, but what a disaster was the festival! please guys, don’t do it again! Track #5 by Neonglou is actually a remix by Gotalien. Please modify the tracklist accordingly. sure, razbel. take it as u want. just pay the artists…not only the “bigger and better”. if perfect means – toilets, water & no death threats – then yes, that is what i want, at least, in a festival (’cause you didn’t even have the minimum of infrastructure). and as for my contribution at your festival, that was much more then enough. but how could someone like you know that?